Numerous stores in Việt Nam put up massive sales yesterday in an attempt to follow the famous US Black Friday. The local shopping scene was not as hectic and anticipated as its US counterpart, though several brands did manage to cash in on the occasion. However, many stores were not always fully committed to their discounts. 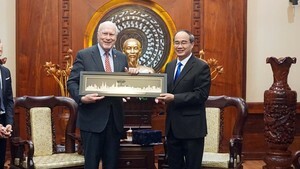 In contrast to the tradition on Black Friday in the USA, during which the prices of all products are sometimes reduced by 50 per cent, some sellers in Việt Nam gave false promises and arranged a discount-level ranging from 10 per cent to 70 per cent, depending on the item. And though stores did not fully admit, they all priced their items to attract more buyers toward unwanted goods. 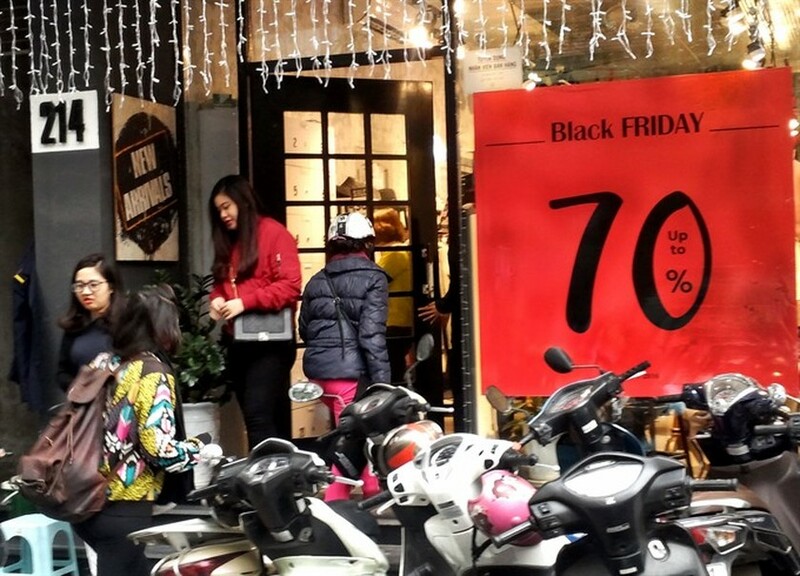 All over major streets in Hà Nội, signs saying "Black Friday Sale up to 50 per cent discount" were displayed, ranging from high-end stores at Vincom shopping malls to lower end ones selling unlabelled clothing. Many were packed with customers hunting for a bargain. Stores that attracted the most customers included higher mid-end to mid-end brands such as Emigo, IVY Moda, Charles and Keith, Aldo or Canifa, with very promising deals going up to 70 per cent discount. Products on sale ranged from household items to clothing, though the most anticipated sales were in the apparel area. Shoppers, almost exclusively women, including college students, office workers and housewives, gathered at various malls and streetfront stores starting early yesterday. Customers were advised to be frugal and discrete about their purchases, as many seemed to splurge on unnecessary deals. Many stores looked forward to the sale as chance to get rid of unwanted items from last season or even to mix in ones of lower quality. The time limits for the sales are usually from November 25 to 28, with some exceptions of weekend deals only. Discounts come with coupons and other promising deals to attract customers’ attention. Black Friday falls on the fourth Friday of November, following Thanksgiving Day in the USA. It is widely seen as the beginning of the Christmas shopping season, whereas major retailers offer promotional sales at a high discount to great buyer anticipation.